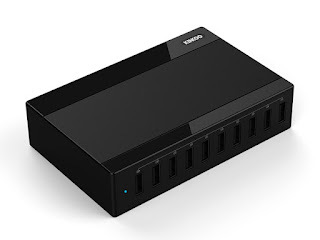 Turn your desk into a veritable charging powerhouse with this Kinkoo 10-Port USB Charging Station. Pumping out 60W power through ten USB ports, this portable station will get all of your devices powered up in a jiffy. From iPhones to Androids to everything in between, any device with a USB charging cable will be real happy with this station.